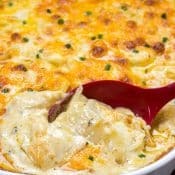 Easy Chicken Spaghetti is creamy and cheesy spaghetti with chicken in a creamy cheese sauce with canned tomatoes and chilies! I have partnered with Skinner® Pasta to bring you this awesome Easy Chicken Spaghetti recipe! While this post is sponsored, all opinions are 100% my own. August 6th is National Friendship Day. 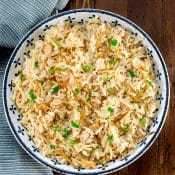 I decided to celebrate by inviting my longtime friend, Denise, over for dinner to share this Easy Chicken Spaghetti casserole. She and I go way back and have many stories. One of the funniest stories was the time Denise and I reported a crime to the police in person … on Halloween …. while we are in our Halloween costumes. Yes. The police must have thought we were ridiculous! I was a Smurf with my face painted blue and she was a Rubik’s cube. She and I witnessed someone breaking into one of her neighbor’s apartment. While he was in there, we called the police. Unfortunately, the police got there after the thief left. So we go outside, in our costumes, and tell the police what we saw. I’m sure the police were probably laughing their tails off later telling their buddies about these 2 women dressed up as a Smurf and a Rubik’s cube. 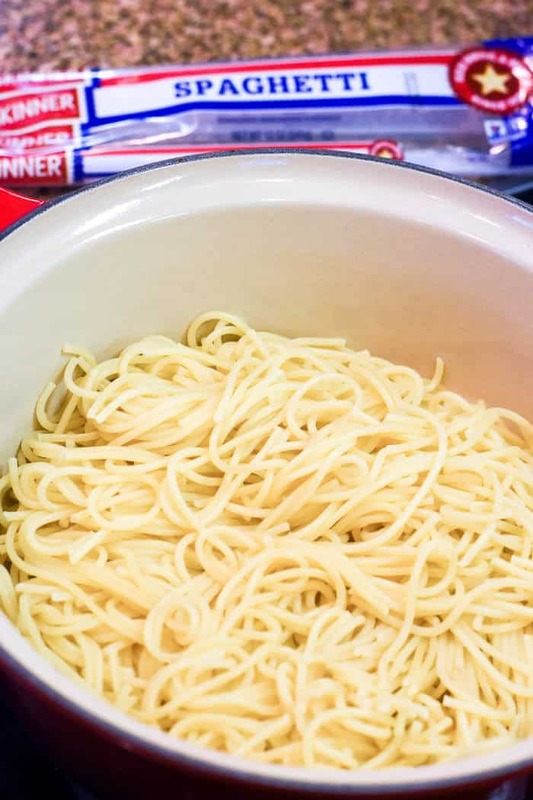 I like that Skinner pasta is not only great tasting, budget-friendly, and easy to cook, but it has earned the non-GMO project verification on its most popular pasta products. The Non-GMO Project is the only entity in North America that offers third-party verification and labeling for products made according to rigorous best practices for GMO avoidance. That makes me feel good about serving it to my family and friends. Skinner has a variety of pasta products like spaghetti, fettuccini, elbows, penne and more! 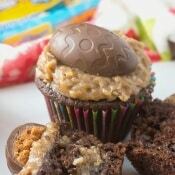 Visit skinnerpasta.com for more information about their pasta products and for more great recipe ideas! 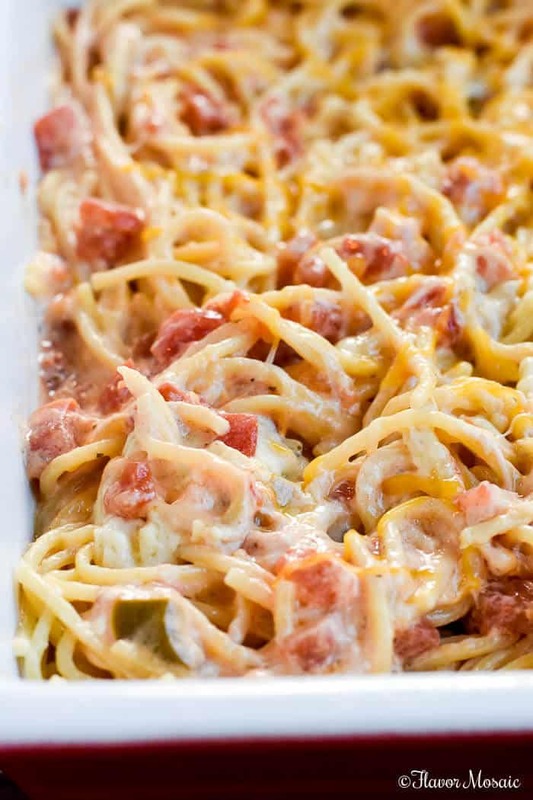 This Chicken Spaghetti is made to share with friends. 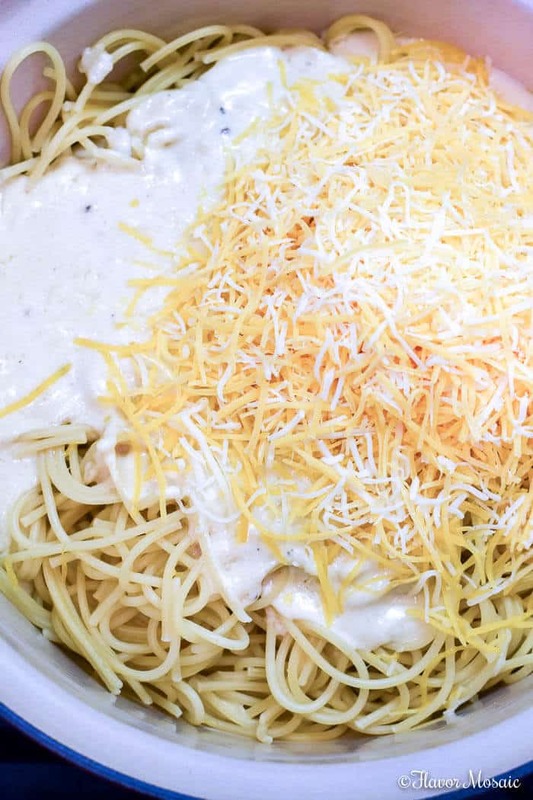 It makes a big batch of creamy, cheesy spaghetti to feed a family or invite your friends over. In honor of National Friendship Day, Skinner is partnering with Instacart to provide free grocery delivery for customers only in Houston, Austin, San Antonio and Dallas. 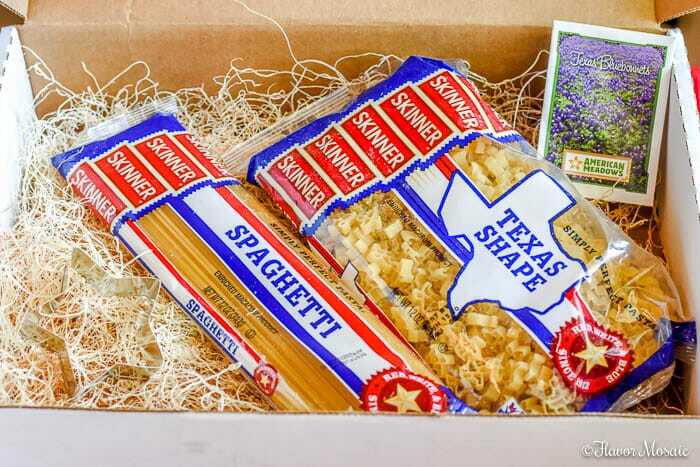 Buy one (1) package of Skinner pasta and get free grocery delivery. How cool is that! Customers who don’t qualify for free delivery (e.g. 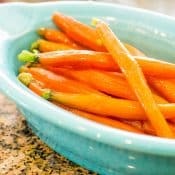 Instacart Express Customers or first-time customers) will receive $5 off their order. 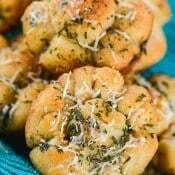 Delivery must be $35 or more to qualify for free delivery or $5 off. That is not all. You have a chance to win a Texas-sized getaway! Visit HowdySkinner.com to enter for your chance to win a three-night stay for you and a friend at the Marriott Marquis Houston including airfare and $500 spending money to enjoy the city’s sites, restaurants and attractions. Other prizes include a membership to Care.com and $500 to spend however you like. Sweepstakes kicks off on National Friendship Day (8/6/17) at 12:01 a.m. CDT and ends on 9/6/17 at 11:59:59 p.m. CDT. 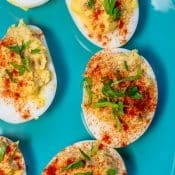 Visit HowdySkinner.com to enter and see official rules. 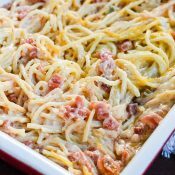 I love having the opportunity for a chance to win in addition to enjoy this Easy Chicken Spaghetti casserole! It makes the Spaghetti Casserole taste that much better. 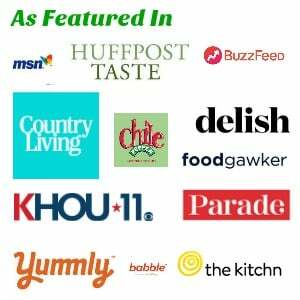 Try the Instacart today to buy one (1) package of Skinner Pasta and get free grocery delivery if you live in Houston, San Antonio, Austin or Dallas! 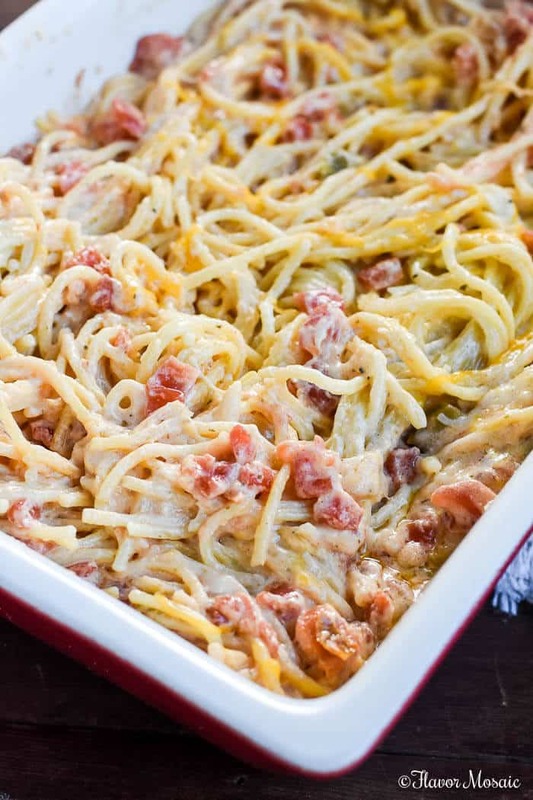 Then make this awesome and Easy Chicken Spaghetti recipe! 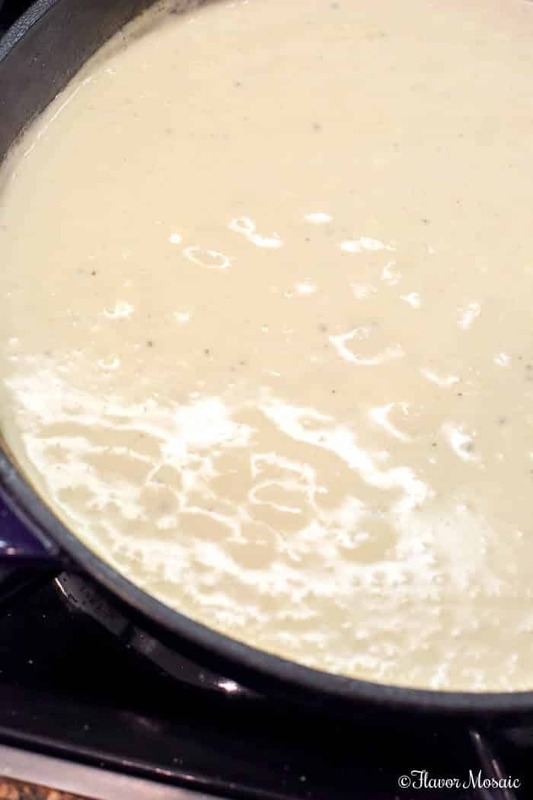 In a deep large skillet, melt the butter and add the flour. Stir until it makes a paste. Pour in one drained can of diced tomatoes and green chilies. Add shredded chicken and cheese. 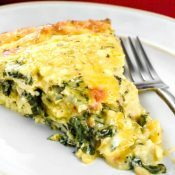 Spoon everything into a baking dish and bake for 20 to 30 minutes in a preheated oven or until heated through and the cheese is melted. 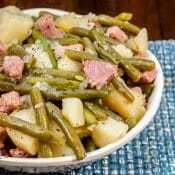 This post was sponsored by Skinner Pasta. 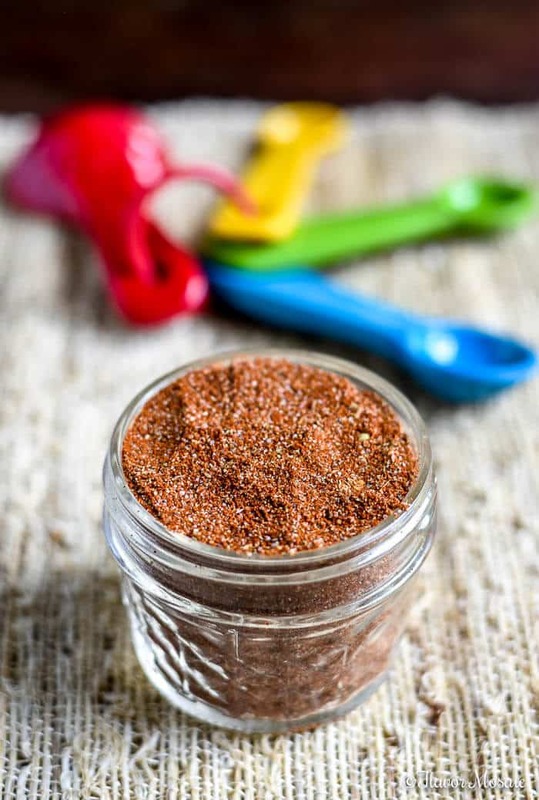 If you like this recipe try our Homemade Taco Seasoning.